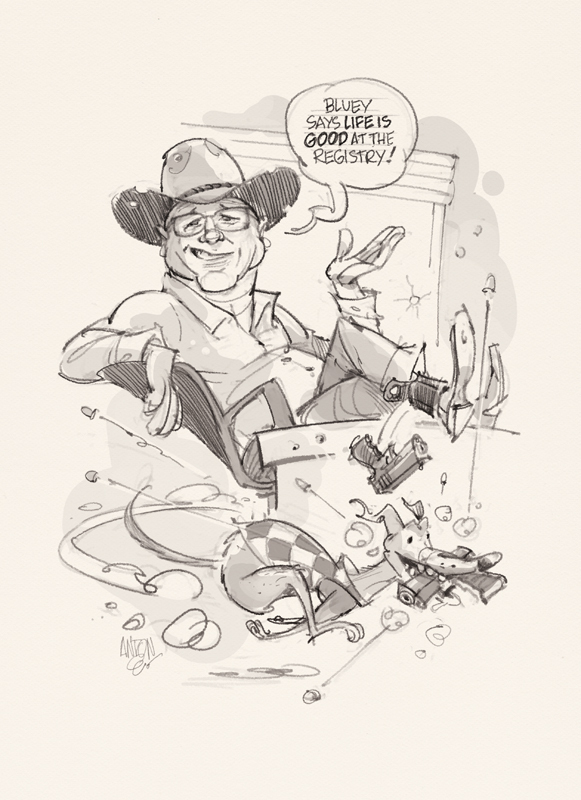 I enjoyed drawing Bruce 'Bluey' Lyons - a caricature commissioned by my old friend George as a farewell gift for the ex-police commander and firearms registry director. Bluey has the habit of referring to himself in the third person, so I just had to include that! Here is the initial thumbnail, and the sketch. The finished art is drawn and coloured in Photoshop.